HRC Global is offering capacity-building and strategic planning opportunities to selected organizations that are working to improve the lives of their LGBTQ communities. The goal of the Global Partnerships in Innovative Advocacy program is to help strengthen the equality movement in each partner country through more effective advocacy, campaigning, organizing and outreach. Based on decades of lessons learned in the U.S. and around the world, we will provide a series of customized two-day workshops in-country, delivered by trained HRC staff and/or other experts, to help organizations develop creative and innovative plans to move their programs and organizations to the next level. 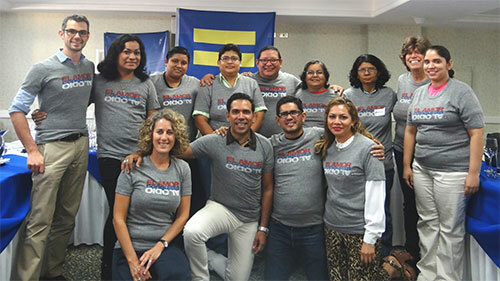 Working alongside each partner organization, the LGBTQ community and its allies, HRC will travel to your country to deliver up to three workshops over the course of six to nine months, during which we will assess the opportunities in each country and share ideas and lessons learned in partners in the U.S. and beyond. We will help partners strategize on the best way forward, decide on a specific course of action, create comprehensive yet manageable plans to achieve the desired outcomes and will advise on how to resource, launch and implement these plans. Between visits, HRC will be available for periodic consultations. Partner organizations for 2017-18 are from Georgia, Kyrgyzstan, Myanmar, Uruguay and Turkey. Applications for the 2018-19 Partnerships will open in June 2018. Our partnership programs are only open to current and former HRC Global Innovators and HRC Global Fellows. Please visit these links to learn more and to apply. 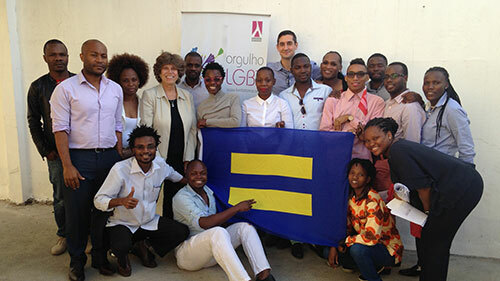 For information about our related Global Partnerships in Pride program, click here.